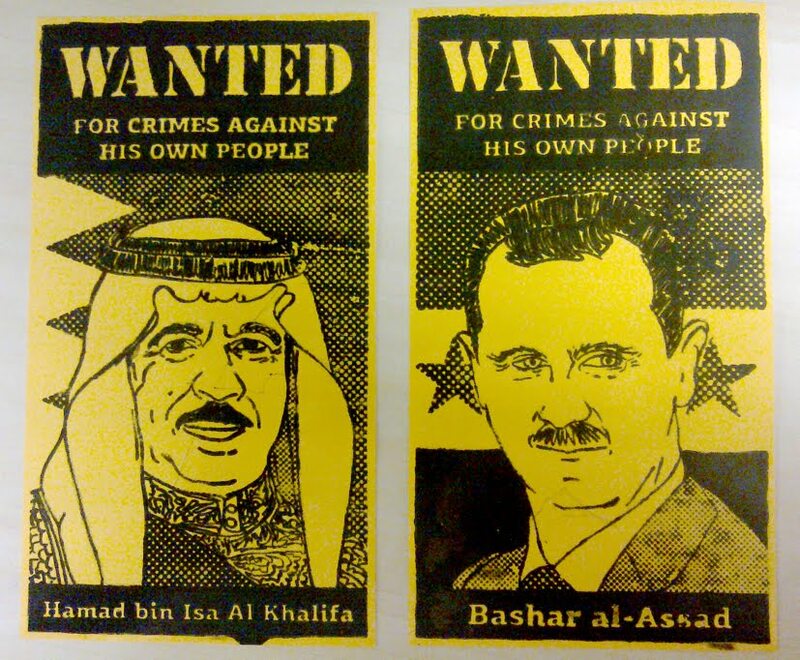 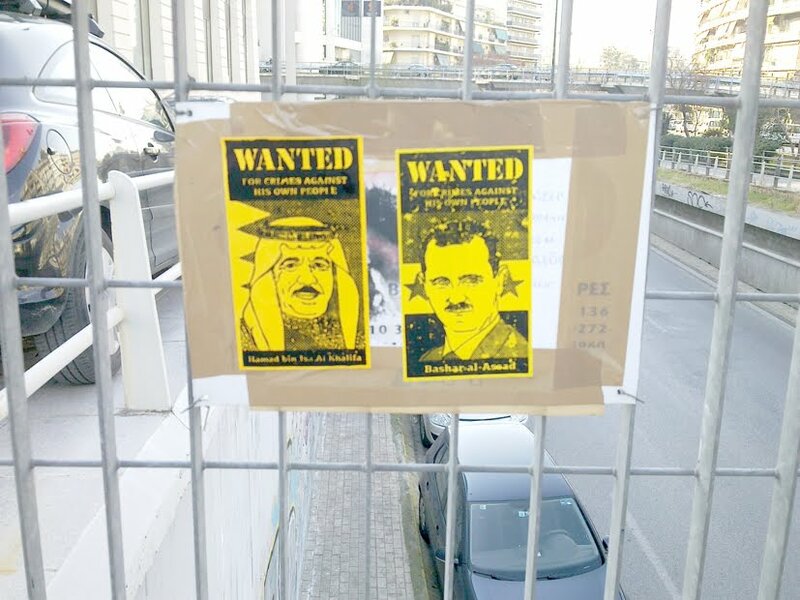 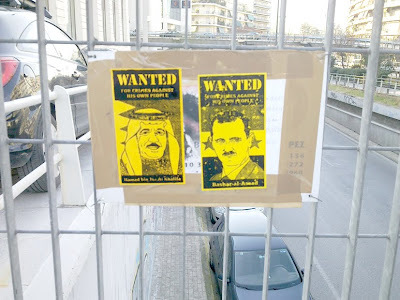 New "Hamad Bin Isa Al Khalifa" and "Bashar al Assad" Wanted stickers. 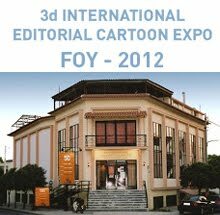 Half size, double print run. 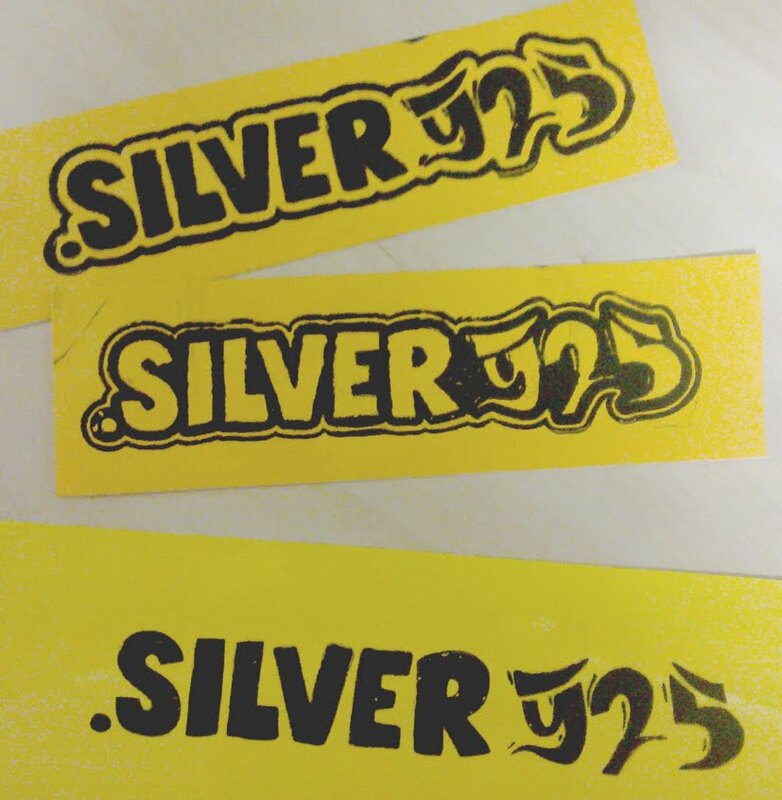 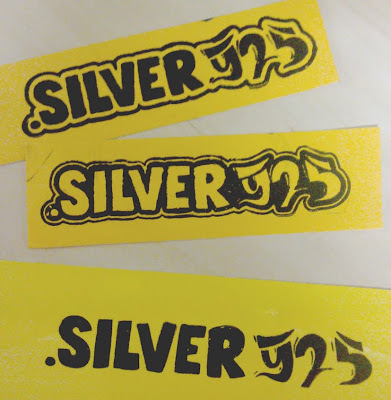 Also fitted 3 "Silver 925" stickers in se same screen.